Hermoine (the second) came from a trailer that was decidedly not a magical place to be. Luckily, she found a fabulous foster family, with a love for reading and snuggling. 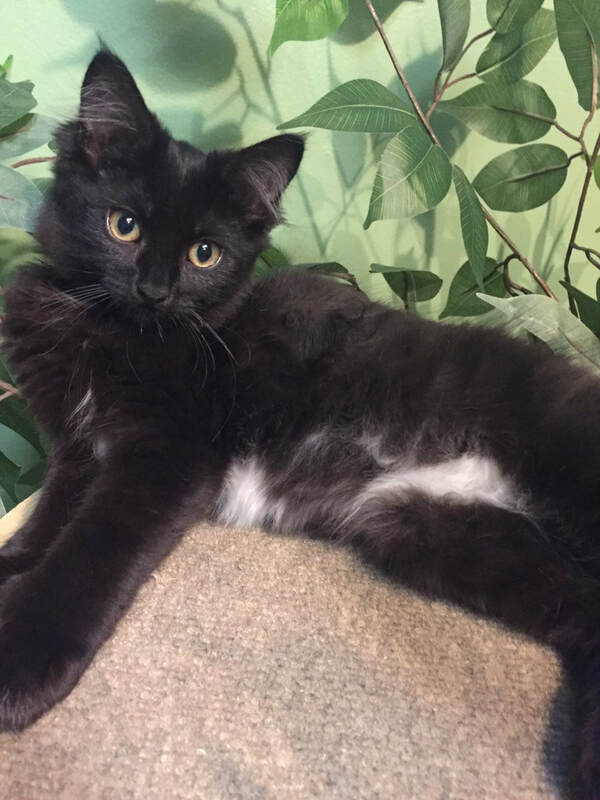 This absolutely gorgeous, medium-haired, polydactyl lass loves to play – and to stretch out on your lap to be snuggled and stroked! You may be surprised to find the unexpectedly large white patch of fur on her tummy as she hides it well.